Do get a written estimate – Whether you find your GC through the Internet, the BBB or friends and neighbors, it is essential to establish the scope of the work, the cost and the timeline in a memorialized way. Simply put, this means a contract. Never start any project without one. A reputable GC will want one, also, as it protects his company as much as it does you. Don’t allow them to miss deadlines – The contracted crew should be expected to arrive on time and meet their time milestones. If they don’t, there is usually more wrong with the project than just a little delay. Do check the quality of their materials – Ensure that the materials specified in the contract are actually used. 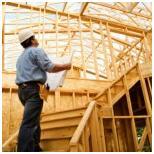 The best contractors will show the homeowner what is being installed before any work is done. Accept nothing less…it is an industry standard. Don’t trust verbal agreements – One of the worst tactics of a bad contractor is to hit an unsuspecting homeowner with change orders. With these, even a minor change can be charged at an exorbitant rate. In short, know what you want at the beginning and stick to the contract. Do insist upon an on-site point of contact – Nothing is more frustrating to a homeowner than not being able to manage their own home project without contacting an off-site manager. Make sure that an on-site supervisor, who can make decisions, is always available. To receive outstanding general contractor services in the Contra Costa County area, call K2GC at 925-754-5232 today to schedule a free estimate.